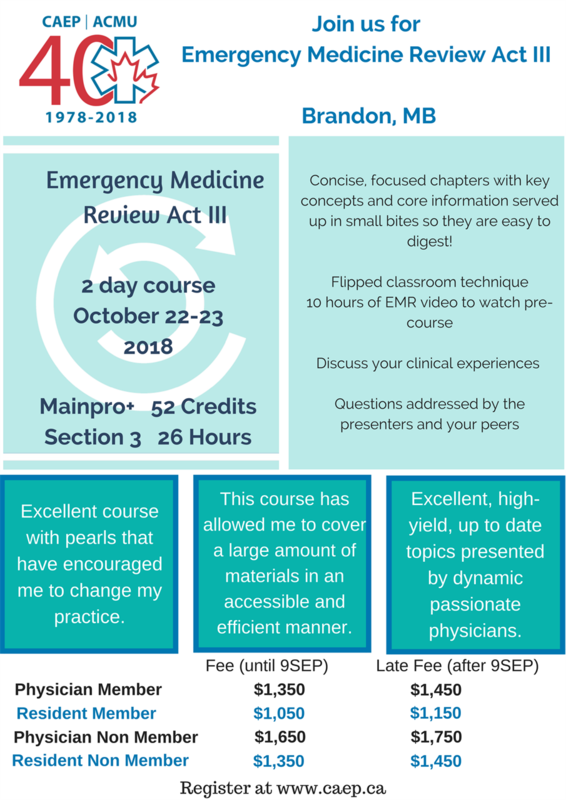 Emergency Medicine Review (EMR) is a robust program made up of concise, focused chapters with key concepts and core information served up in small bites so they are easy to digest! It provides a modern approach to CPD using the flipped classroom technique. You receive 10 hours of EMR video to watch at your leisure, prior to attending the course. While attending the two-day course you have an opportunity to discuss your clinical experiences in a small group. You get your questions addressed by the presenters and your peers.